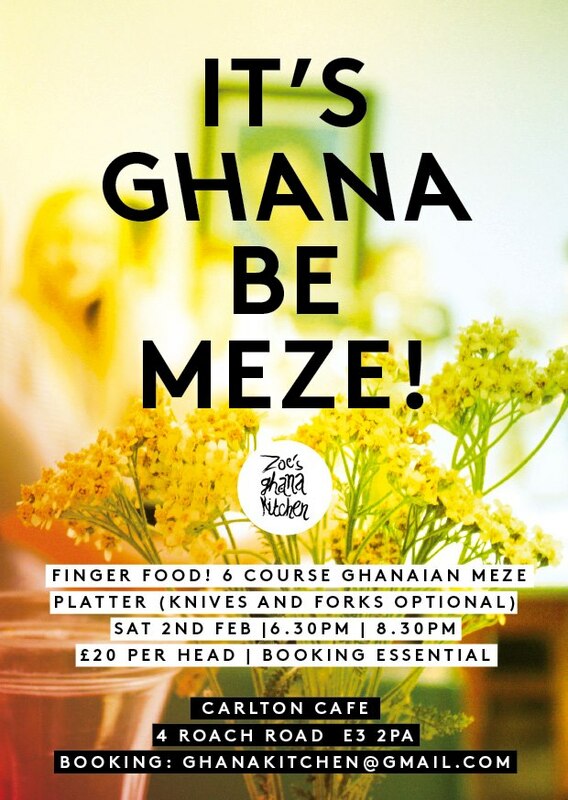 Zoe's Ghana Kitchen are on a mission to warm you up this winter, starting with the brilliantly named It's Ghana Be Meze on Saturday 2nd of February at Carlton London Cafe in E3. It's a celebration of Ghanaian streetfood, and there are two sittings. "Happy New Year! It's cold. It's really cold. So come and get warmed up with us. Tropical Fruits and Peppercorn Syrup"
I am creating a weekly newsletter to feature news about all of the latest and best pop-up and temporary things in London. Please sign up below!